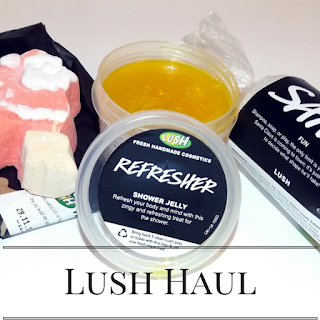 I went shopping to Bluewater this weekend and couldn't resist going into the Lush store. 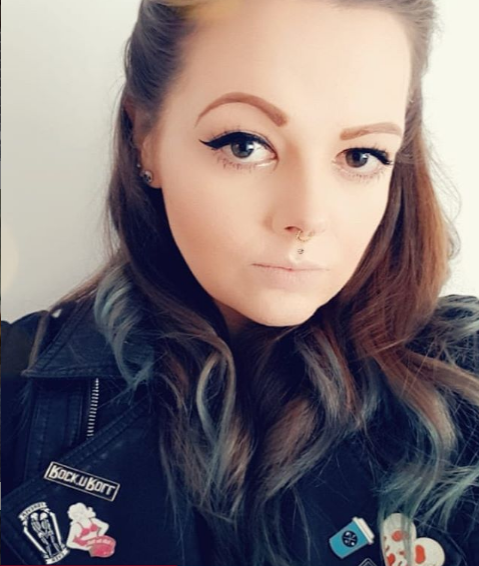 Bathbomb, shower jelly and a fun bar later, here's my review. 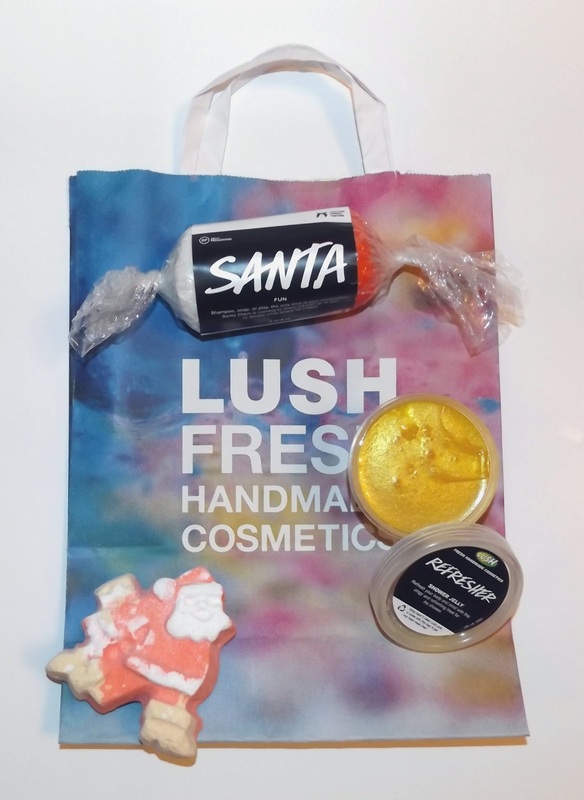 I went in with the intention of not buying anything but anyone who loves Lush will know it never ends well. I didn't buy loads thankfully but I did pick up two items from their Christmas range and one shower jelly I've never seen before. merman and it's impossible to get him out the bath. Santa has gold boots which are the first thing to fizz away, sending Santa on a mad dash around your bathtub releasing the scent offresh satsumas, fruity bergamot and orange flower. It also makes the water a gorgeous Christmassy red with a gold shimmer. I've seen this next product around a few Lush stores and although I've always eyed it up I've never brought one. Well today was the day that it all changed. 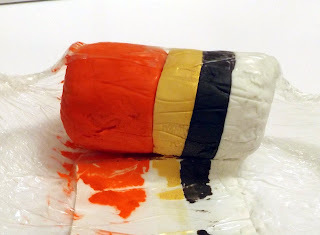 I decided to go with the Santa fun bar as I loved the look of the gold layer. This is the perfect product if you don't really know what you want to use it for. It can be used as a bubble bath, soap, shaving soap, in the shower and as a shampoo! Plus it's really pliable so you can actually create your own Santa before using it! Finally I was over at the Shower Jellys which apart from the Sugar Scrub are my favourite Lush products. 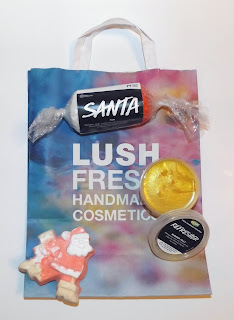 I wanted Santa's Belly but it was only available in the large £8 tub where as I prefer the smaller tubs so I can swap and change more often, so I opted for Refresher! This gorgeous gold metallic jelly is infused with lemon which smells like a lemon fruit pastel (if it existed). 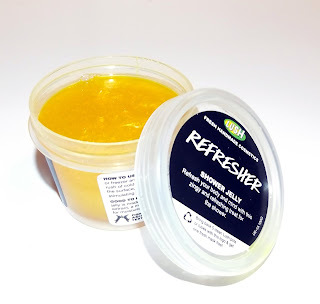 It makes a really luxurious lather and leaves you smelling amazing! 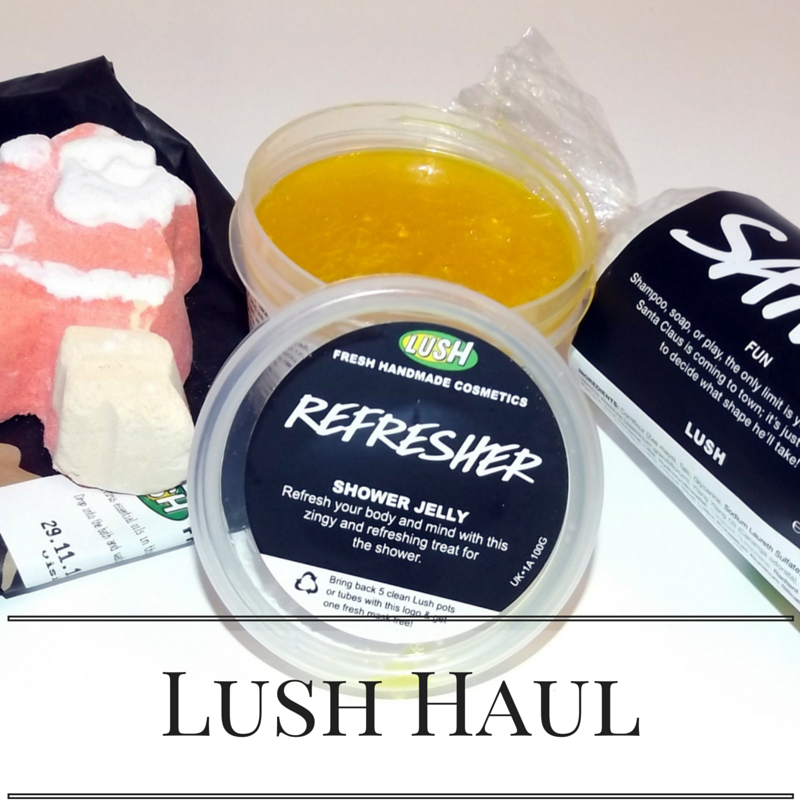 What Lush products have you brought recently? 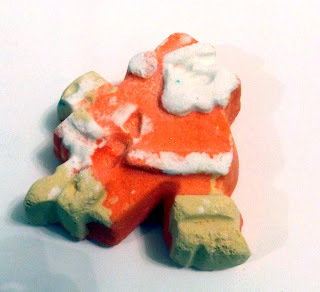 The Santa Fun bar looks really...fun :D I need to to a Lush stock-up for Christmas soon - lots of Snow Fairy to be grabbed!